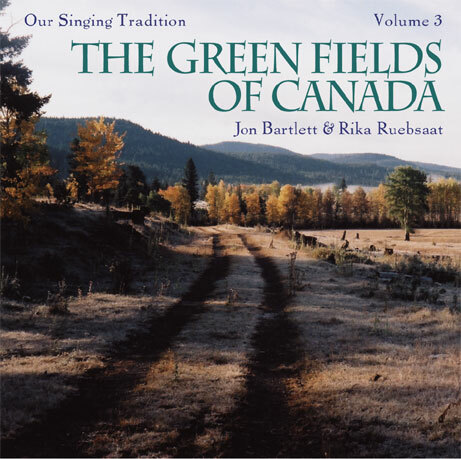 A representative album of Canadian folk songs was not possible until 1979 when the last of the major collections of traditional folk songs was published. Phil Thomas’ Songs of the Pacific Northwest (Hancock House, North Vancouver), from which five songs in this album have been drawn, accurately represents the history and the economy of British Columbia, and allows us to assemble a composite picture of the regional varieties of Canadian song. The songs on this album range in age from the title track, dating back to the eighteen-fifties, to the two songs of Wade Hemsworth made in the nineteen-fifties. Though the tunes of the songs vary from Irish modal through Protestant hymn to Tin Pan Alley, (whichever mode was the most significant and familiar to the community out of which the song came), the songs are unified in voice: in each of them, we can imagine a singer passing on a song in and to a community, whether an eastern or western logging camp, a prairie or Quebec town or a small Atlantic fishing village. This is the authentic voice of Canadians speaking to Canadians: we hope our arrangements and singing have done them justice. Cover photo taken by Rika Ruebsaat, near Merritt, BC. When Rika collected this song in Winnipeg in 1975, she took it for a traditional song from around 1885, when the opening of the CPR main line brought thousands of would-be settlers (and speculators) to Winnipeg and the west. It was not until 1988 that we discovered the song had been made to the traditional tune in 1959 by Chris Dafoe, and published in his column in the Winnipeg Free Press. The complaints of the weather and the freight rates are traditional prairie fare, and Mr. Dafoe’s new words to an old theme had put the song back into the oral tradition once again. These days, singers often replace the words “wheat board” with the word “bankers”, another bane of the prairie farmer. Here are two songs collected by Phil Thomas and published in his Songs of the Pacific Northwest, separated by a waltz that was popular in the logging camps. The Grand Hotel was a common destination for many of the loggers arriving in Vancouver on board the Cassiar from coastal logging camps. They would often hand over their “roll” to the proprietor, Tommy Roberts (1883-1917) for safekeeping, and Tommy would “run a slate” for them until the money was spent. “Buck’s Camp” makes sport of the conditions in a camp in western Washington at the turn of the century. This song, collected by Phil Thomas from its maker, Bill “Bud” Baldwin, was made in the early twenties to describe his experiences as a pre-emptor in the Rocky Mountain House district of Alberta. Phil Thomas found this song, sung to the tune of “When You Wore a Tulip” (c. 1914), more frequently than any other. The “mucker”, the lowest-paid and dirtiest of all hard rock miners, was responsible for getting the ore away from the face after blasting and into the ore carts. A hard rock miner would often have a partner, with whom he would travel from job to job; the song mentions a variety of mines from Ontario to Idaho. These verses were written by “W.H.D.” at Emory’s Bar on the Fraser River, between Hope and Yale. They were published in 1859 in a California magazine where Phil Thomas, who put the tune to them, found them later. The song describes the hard life of the gold miner who stayed and worked over the winter months of 1858, shortly after the first discovery of flake gold in the sand bars of the lower river. Others had returned to California in disgust, labelling the find the “Fraser River Humbug”. Many prairie songs have used Protestant hymns for tunes; here is one set to the tune of “Beulah Land”. Other variants (though with many of the same complaints) are “Prairie Land”, “Alberta Land”, and, from the U.S., “Dakota Land”. 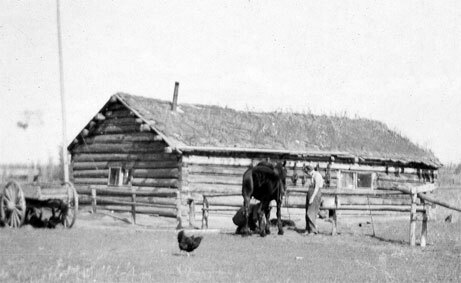 This set was composed by William W. Smith of Swift Current, Saskatchewan, in the 1930’s, and refers to the plague of grasshoppers, the drought and the low prices of that period, which saw many Saskatchewan farmers give up and head west. The song may be found in Barbara Cass-Beggs’ Eight Songs of Saskatchewan. These verses were found in a locker on a halibut schooner and were set to music by Phil Thomas. The practice of small dories setting out from the schooner and laying down “long lines” which sat on the bottom, commonly used in the halibut fishery prior to the Second World War, was so dangerous that it was outlawed in 1939, the year these verses were found. The “queer thing” in the fourth stanza was a storm warning (often a bucket raised on a mast) from the schooner to the dories. Stanley G. Triggs, who had a trapline in the Lardeau valley, got these verses from another trapper, Harold Smith, and set the tune. The Duncan River flows into the north end of Kootenay Lake, in south central B.C. There are many songs entitled “The Wreck of the…” This one about the Mary Somers, a ship that sailed out of St. Andrew’s, New Brunswick, is one of the few with a happy ending. Jon learned this song from the singing of the late Capt. Charles Cates of North Vancouver, who had it from his father, a sea captain originally from Ragged Reef, Nova Scotia. The song is in the P.J. Thomas Collection. This Newfoundland song was popular in the 1930’s but has been sung on the island since at least the turn of the century. It is a fisherman’s complaint about “going in the hole”. The fishermen struggle against the elements to catch and dry the fish, and struggle, too, against the St. John’s merchant, who travels from outport to outport aboard the schooner, buying fish at low prices and selling supplies at high. “West Indie” is the lowest grade of codfish and takes its name from the days when it was shipped to the West Indies as food for the slaves. Hardships and famine drove millions of people out of Ireland during the nineteenth and early twentieth centuries. They crossed the Atlantic with dreams of how good life would be in North America, but many died during the voyage. The survivors often encountered hardships equal to those they had left behind in Ireland. Their pain in leaving Ireland and their hopes for a new life are captured in the many emigration ballads they made, of which this is one of the most beautiful. In the days before logging railways and trucks, the rivers were the highways on which the logs travelled out of the woods. This song, dating from the middle of the nineteenth century, tells the story of the yearly cycle of the workers on the Ottawa River. After buying their winter provisions – mostly pork and beans – in Ottawa (then called “Bytown”), they paddled in canoes up the river to the lumber camps or “chanquiers”. They logged all winter, and when the spring thaw came, rolled the logs into the water, tied them together into rafts and floated downstream to Montreal and their wives and sweethearts. People who have worked in the wilderness for a long time never feel quite comfortable in towns and cities. This song, set on the Pukaskwa River of the north shore of Lake Superior, is Wade Hemsworth’s attempt to capture these feelings. In the late ’forties, Wade Hemsworth spent a summer with a survey crew on the Little Abitibi River (southwest of James Bay) and made this song about the experience. The only way to keep from being eaten alive by black flies was to smear all exposed skin with an evil mixture of bacon grease and balsam gum, a crude but effective salve.